It's the time of the year for Farmer's Markets - all those delicious yummy farm fresh goodies. 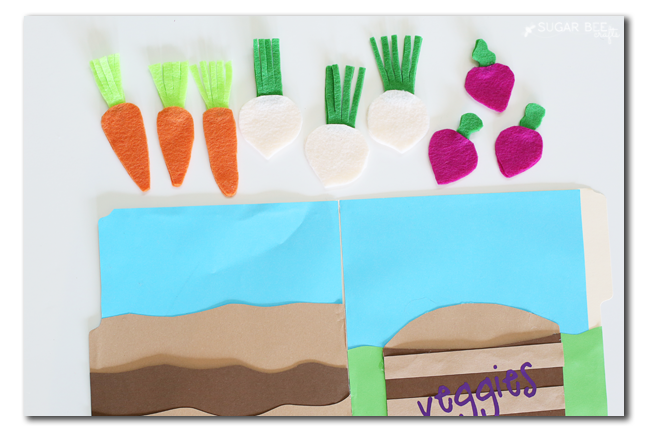 Today I have a fun craft where kiddos can pretend to pick their own veggies and gather them up to take to the Farmer's Market. 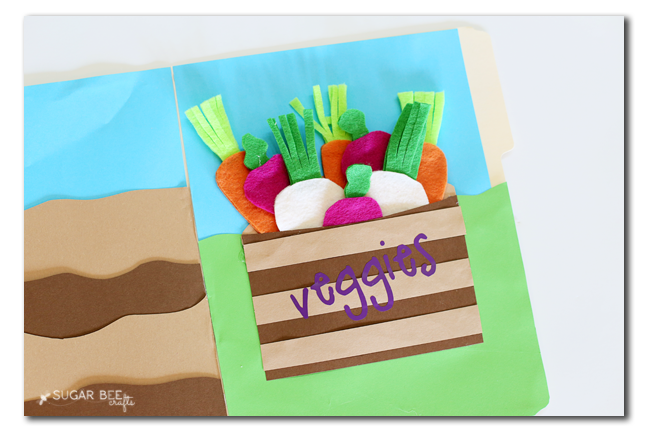 It's a Felt Veggie Garden File Folder Activity. 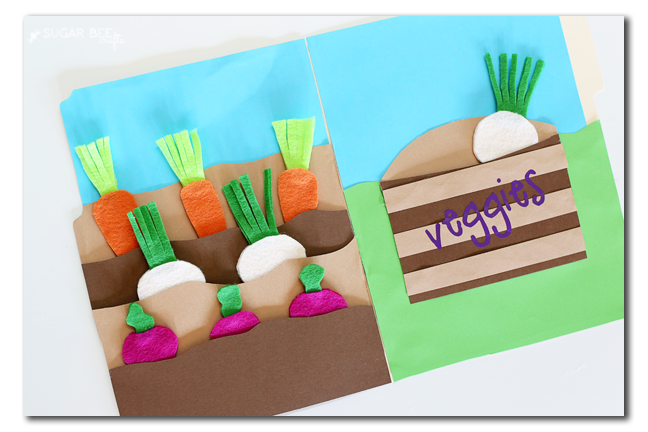 It's a fun craft they can help you assemble before they enjoy hours of play with it! 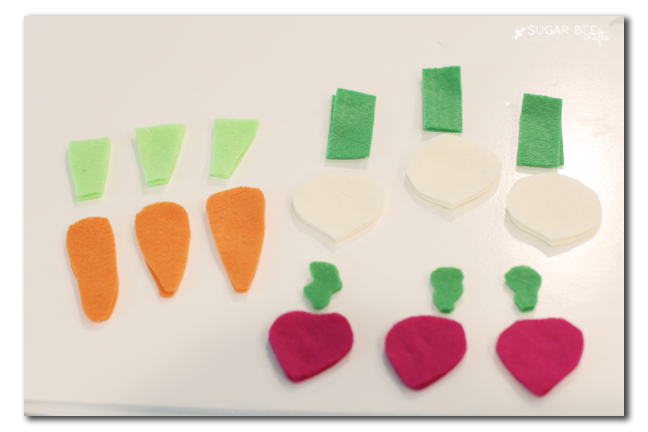 First cut the felt into vegetable shapes as shown below. 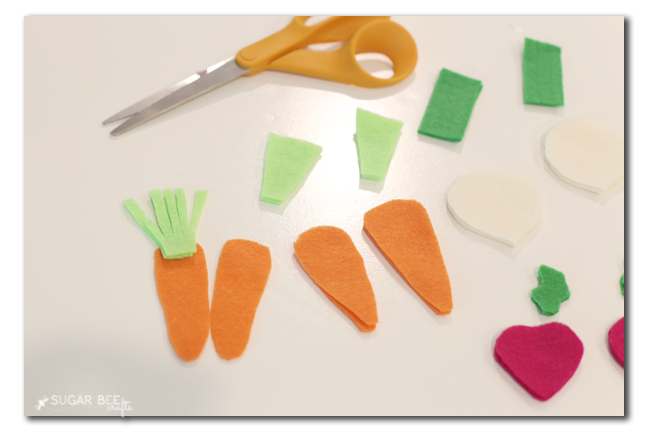 You can outline shapes and let the kiddos cut it out, depending on their age. 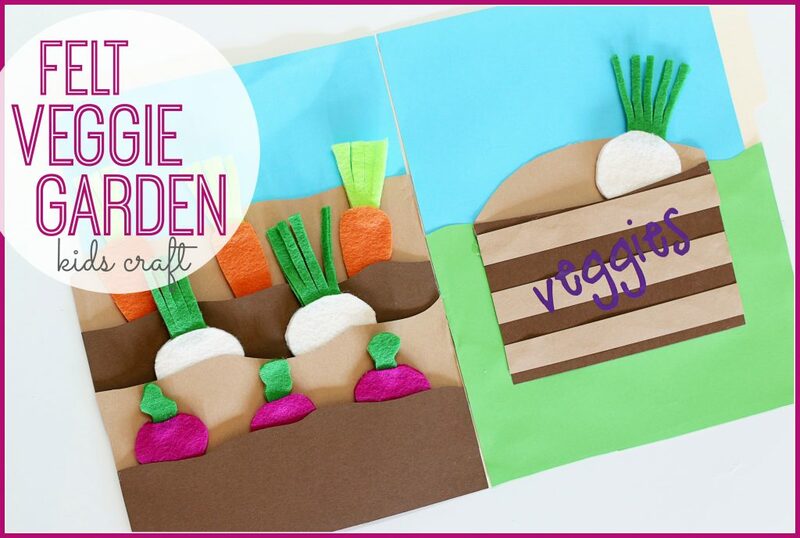 You'll need two layers for each vegetable to give it stability. 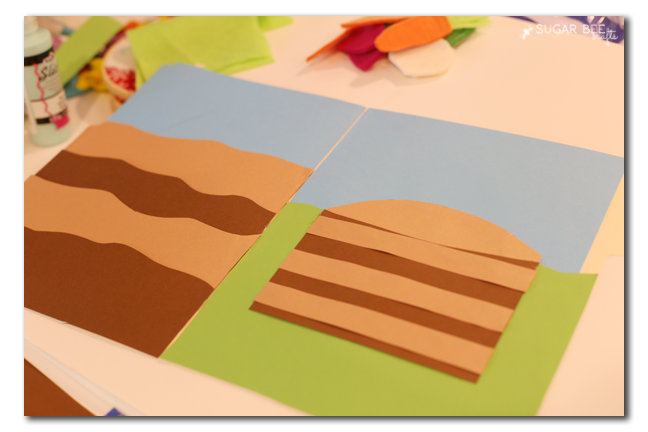 Glue the two layers of leaves/stems together. 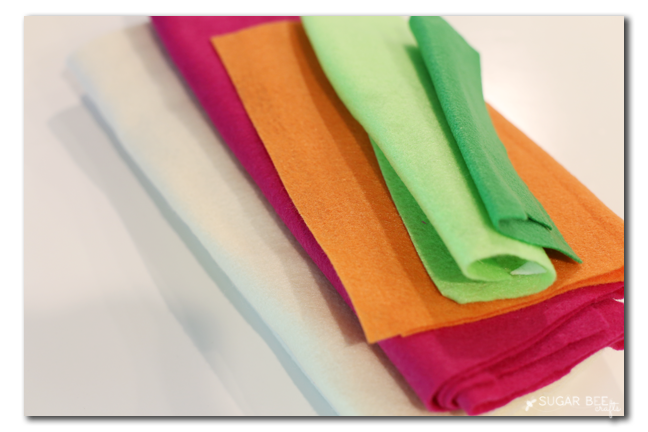 Once dry, cut slits. 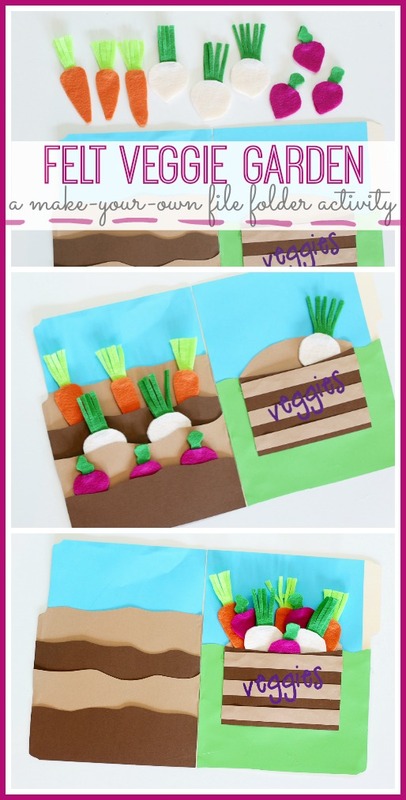 Open up the layers of the vegetable. Glue stem inside at the top. 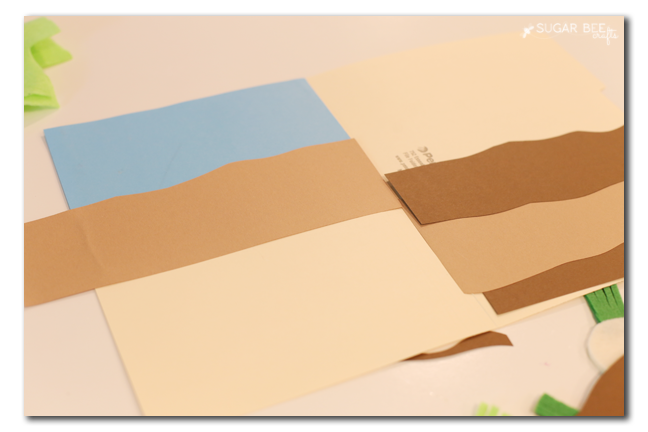 To assemble the file folder, on the left glue down rows of brown paper. 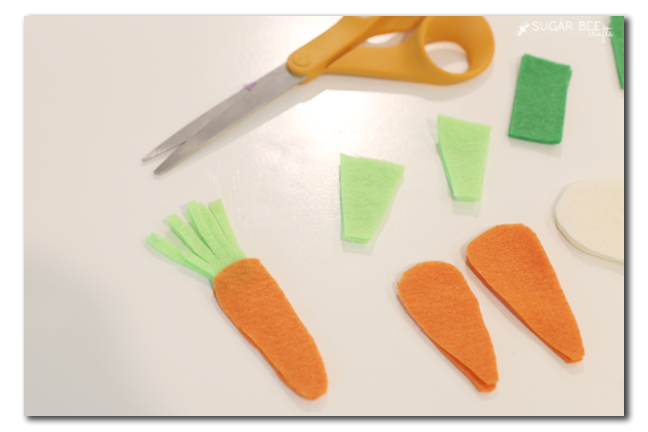 Glue the sides and bottom, but not the top - this way the vegetables will be able to slide in. 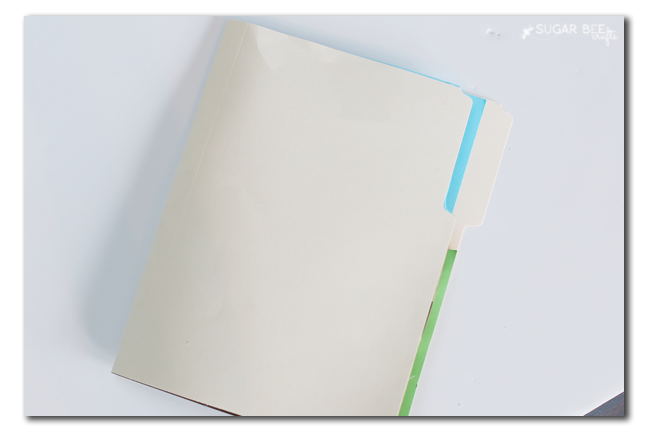 And then when it's time to put it away, the folder just closes right up!